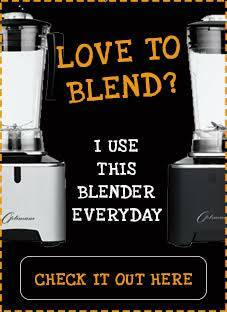 Cheap day out in London? 5 places to visit this Summer! 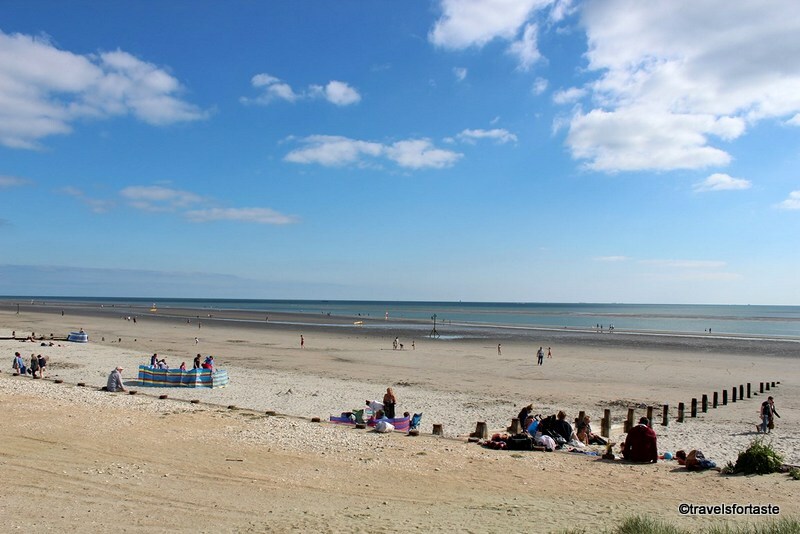 The Great British Summer is here and the weather is brilliant, sunny and perfect for days out in the park , at the beach or out exploring with the family on a weekend. 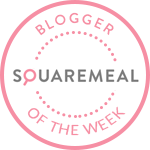 There are many brilliant places that you can go to on a budget even if you don’t drive and have a really fun day out in the sun with the family. Last year my 5 favourite day out spots were places where we did one day trips using public transport and carried a few essentials, there is always scope to go in groups and stay overnight in one of the quaint English Bed and Breakfast places – O.D on the morning Full English for breakfast and generally have a blast . This is trip down memory lane for me now, seems like yesterday though. my very first spring in the U.K and on a fine morning we set out for Brighton. Sun,fish and chips and noisy seagulls yes , sandy beach – no!But there is nothing a comfy deck chair can’t solve. 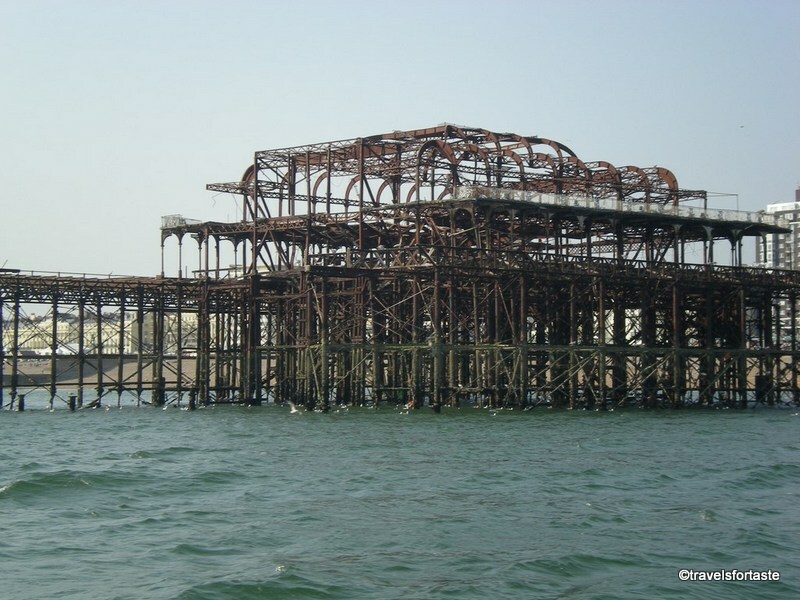 We hopped onto a 45 minute coastal cruise aboard the Rossana.Most enchanting view on the cruise was of the skeletal structure or what’s left of the West Pier.Something very fascinating and mysterious about this relic. 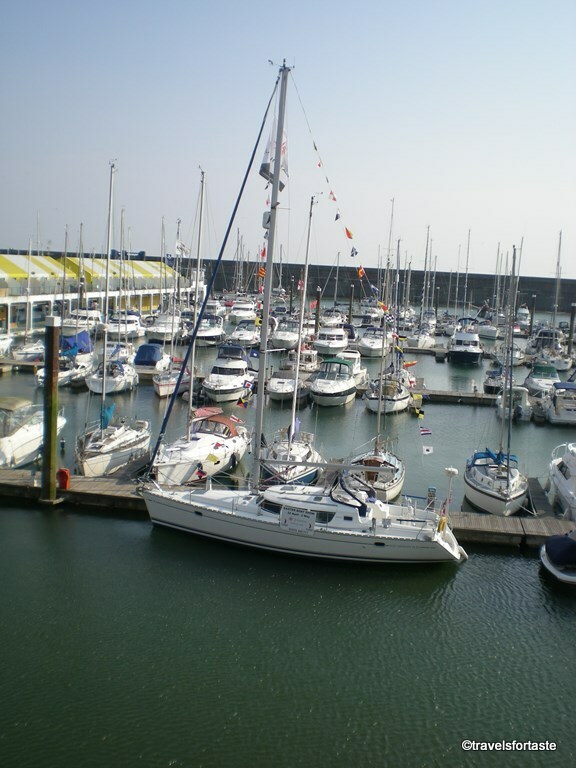 Walked past the Brighton Marina to admire the many beautiful yachts.Many bars and restaurants along the quayside we choose a rather cosy looking one and had a leisurely drink watching the yachts bobbing around on the water the bright late evening sunlight bouncing off yatch decks. We stumbled upon the extraordinary palace the Royal Pavilion built for the Prince Regent, later King George IV.This royal ‘pleasure palace’ is remarkable for its exotic chinoiserie style . 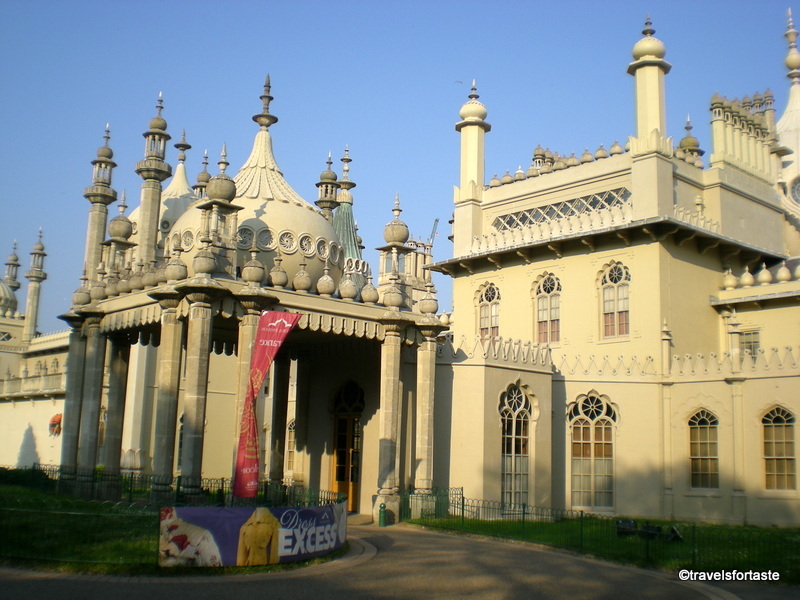 It was revered by fashionable Regency society and is still a distinctive landmark for vibrant Brighton & Hove today. 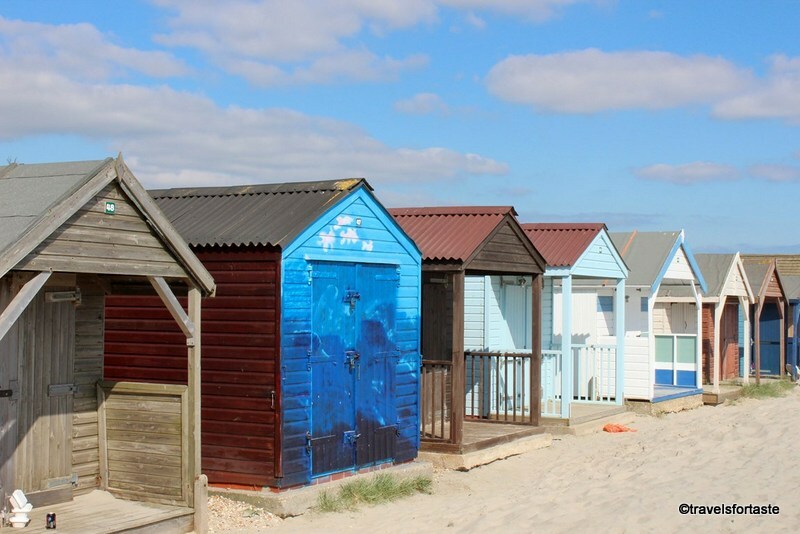 Fishing,Sailing or taking a journey on the oldest electric train from the smallest station I’ve seen yet – Marina Station , there’s loads of fun activities to do with the family on a day out. Just after we hopped off our bus to the station and on an impulse we took another bus into beautiful the coastal village of Saltdean. Whatever you do ,don’t go away from Brighton without seeing Saltdean if only you do it on a plus bus journey like we did,especially since there is a road called Marine Drive at Saltdean , reminded me of Bombay it did. 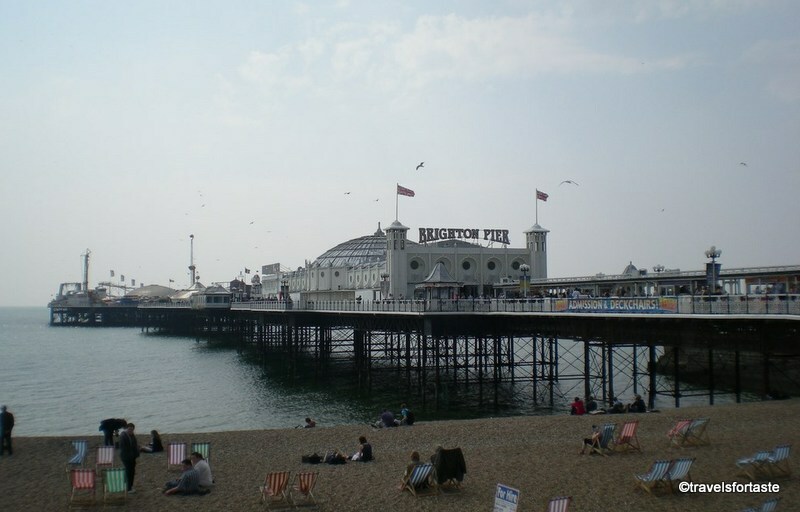 Day out for 2 at Brighton will cost you approximately under £65 if you had to really budget yourself. 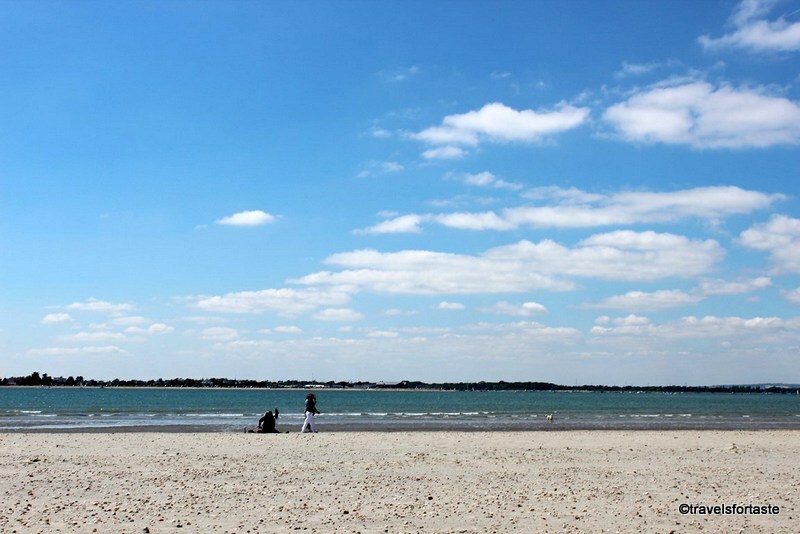 West Wittering Beach is one of these 4000 beaches and marinas in 48 countries across Europe, South Africa, Morocco, Tunisia, New Zealand, Brazil, Canada and the Caribbean that has cleared the strict criteria dealing with Water Quality, Environmental Education and Information, Environmental Management, and Safety and Other Services and is therefore a BLUE FLAG BEACH. So not only is this beach a highly picturesque place of natural beauty,wildlife and birds to enjoy but very safe too. 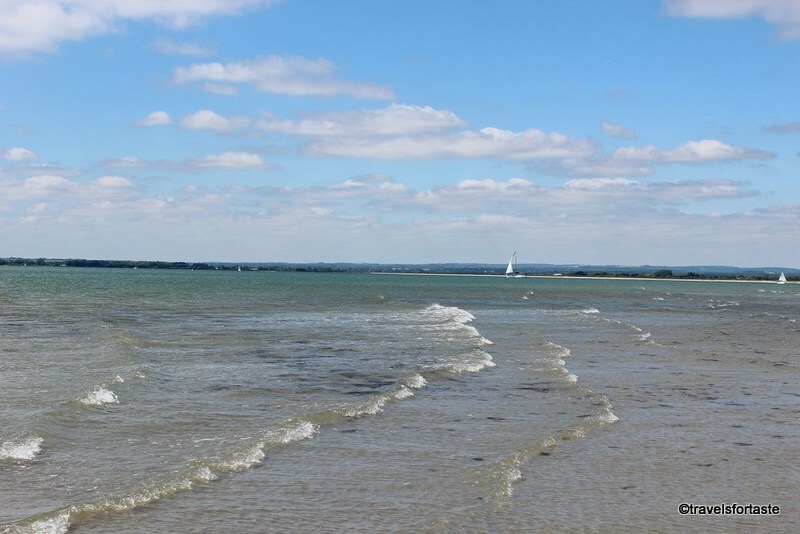 With beautiful views of the Chichester Harbour and the South Down its a great place for adventure sports like windsurfing or kitesurfing. 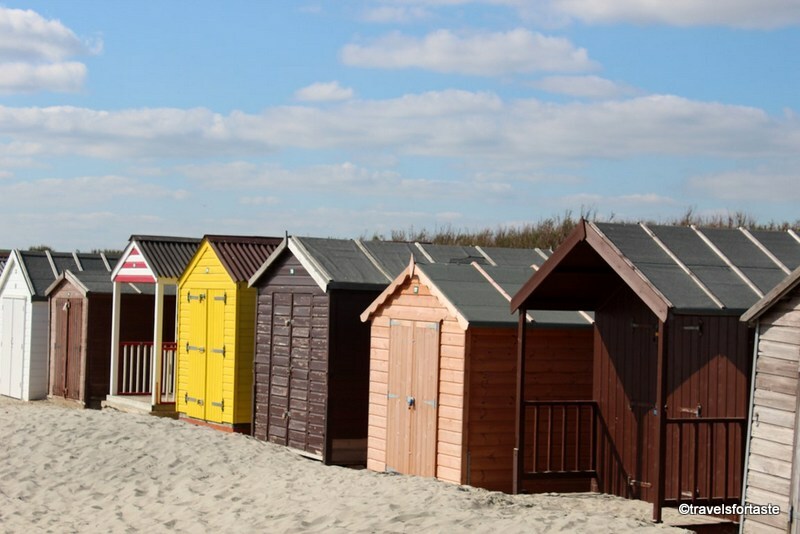 After a long stroll along the beach and having clicked a few pictures especially the beautiful and colourful cabins at the back where we spotted a huge family gathering having fun around a tempting BBQ and lots of chilled beer – perfect! Ice cream at the beach is customary and after we got ourselves some at the beach cafe – braving a long queue we decided to just sit down n enjoy the sights and sounds. To find a quieter spot we walked past the area full of families and hyper excited kids and went to the area where pets are allowed, relatively fewer people and a spot just perfect to lay down a picnic blanket ! Before we knew it we were dozing and I think I dreamt I was part of Tintin’s adventures in Sussex- oh , well don’t you remember he snowy and he headed there in ‘The Black Island‘ .I have been a huge fan of Tintin ever since I first read Herge’s adorable imaginary whodunits as a kid ! I have spent endless summer holidays snuggled up in bed in the afternoon reading Tintin with my cousins or seated in a corner of my local library – such pageturners I tell ya! Parking:Minimal charges ranging from £1 to £8 apply depending on what time of the year you visit. Have climbed the Snowdon last year with hubster it might seem that trekking up Box Hill is nothing but heck its a good climb with breathtaking views of the surrounding countryside.Salomons Memorial (viewpoint) offers views upto 26 miles away including Chanctonbury Ring and Devil’s Dyke, Sussex,also towards Gatwick airport and the South Downs. If you are a trigger happy camera aficionado then this place offers huge scope for taking some great shots. 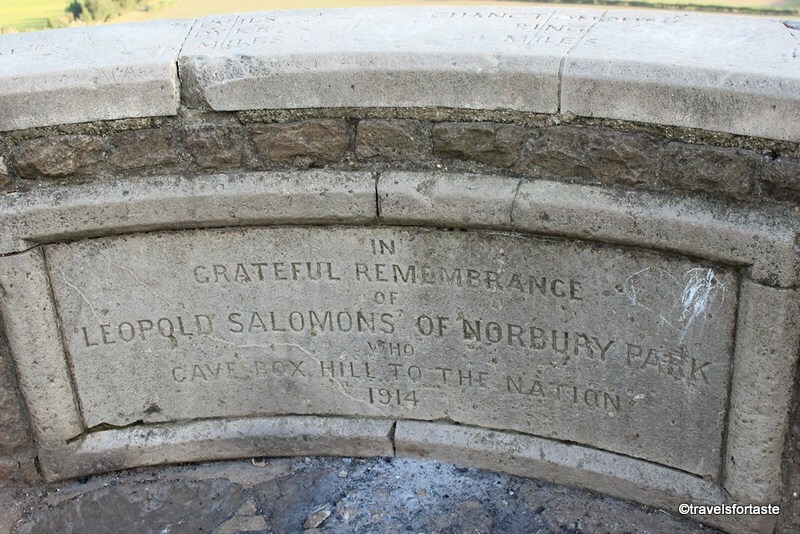 If your a history buff then check out the Box Hill fort built in 1896 ,similar to 12 forts in the south east of England.There’s also an upside down grave where Major Peter Labellière was buried upside down in the belief that the world was ‘topsy turvy’. 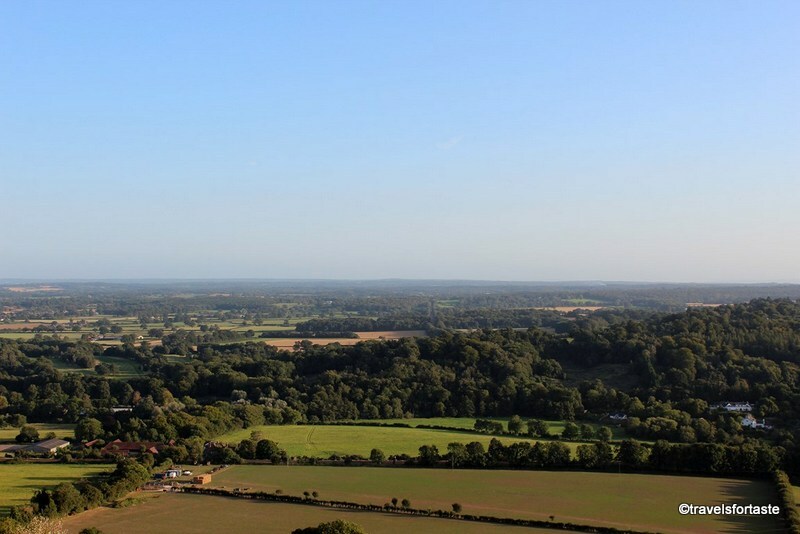 Another interesting tidbit about Box Hill is that it was home to the inventor of the television!John Logie Baird, the inventor of television, lived at Swiss Cottage on Box Hill from 1929 until 1932. He carried out his initial experiments by sending a TV signal from the top of the hill to the valley below,he also conducted experiments using his Noctovisor an infra-red viewing device. 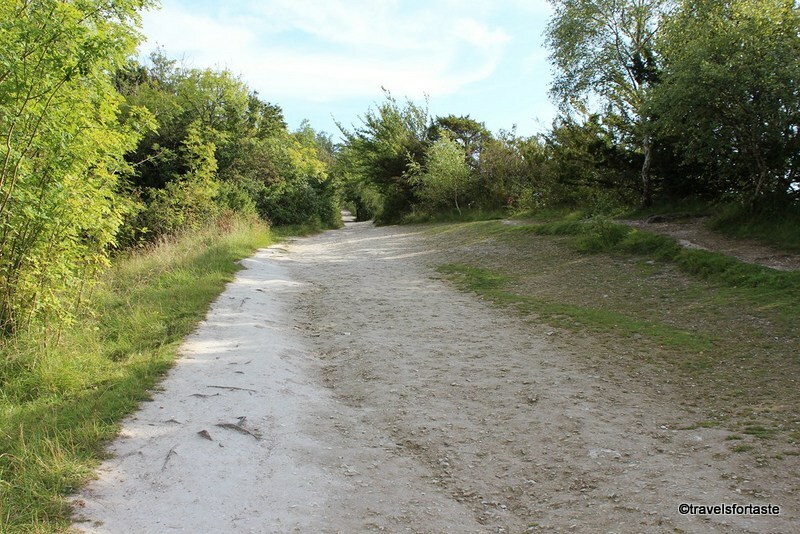 You do do one of the many walks around Box Hill, there is even a trail suitable for toddlers where you can be sure to fire their imagination and get plenty of exercise and fresh air ,who knows they might just discover some interesting flowers,birds or creepy crawlies! 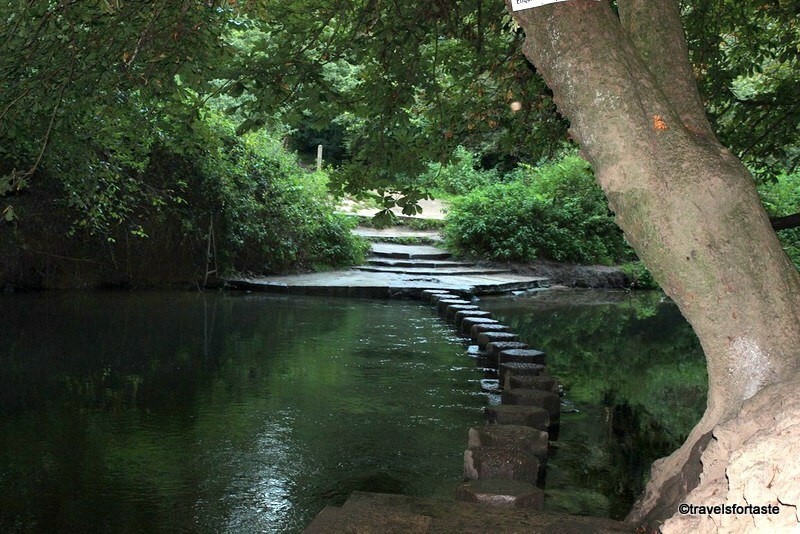 There is also a Butterfly trail but the most amazing walk is the superb stepping stones walk which we did.Its something out of a picture pop up book and there is great scope for me time as you walk past the River Mole on a 2 mile circular walk which will take you under 2 hours. Lined by Apple and Cherry trees the stepping stones dating back to 1841 were destroyed in WWII and reinstated in 1946. 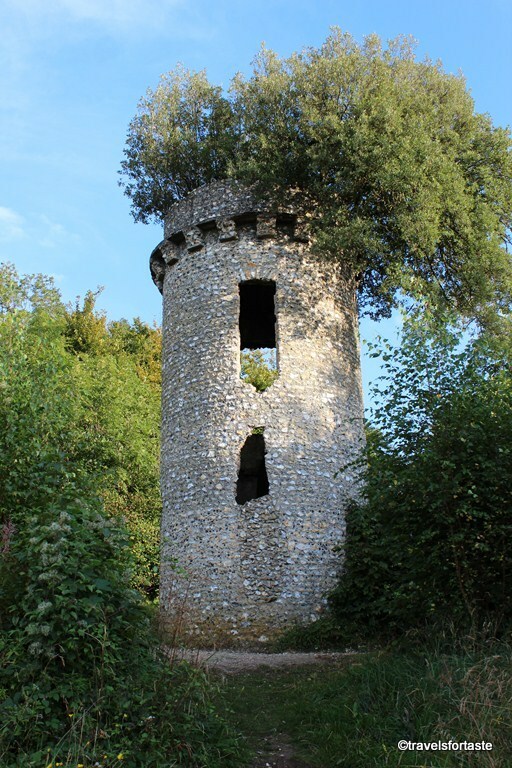 This is Broadwood’s Folly – built in 1815 for the piano maker Thomas Broadwood. 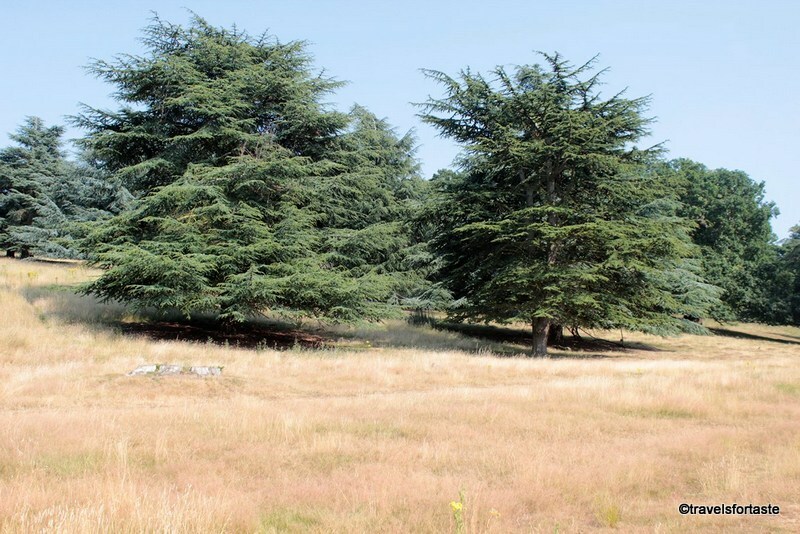 Due to its historic importance and stunning natural beauty Box Hill is a site protected by the National Trust.Once is not enough, Box hill is the kind of place that draws you in and you want to go back for more. One lazy sundays when I don’t feel like walking too much we do a mini picnic tea with a thermos, a blanket and our imagination for company – the views are strangely relaxing and I suspect its the clean mountain air and the exercise that is relaxing. 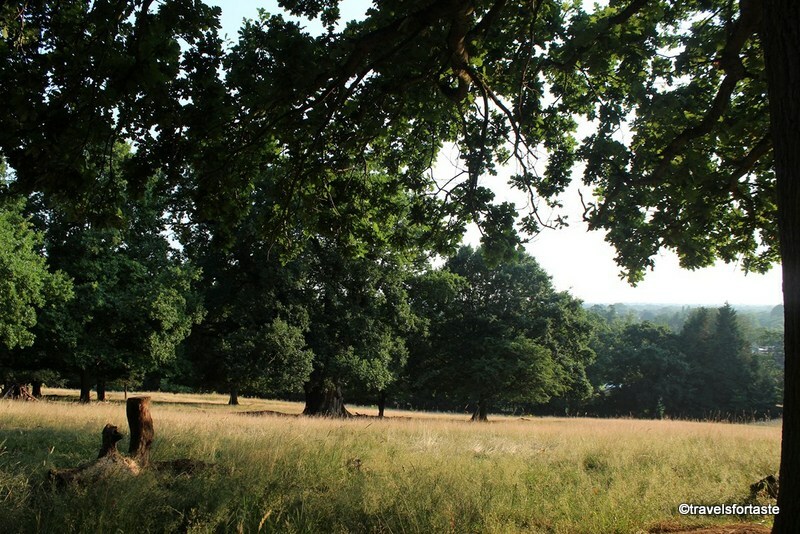 The biggest enclosed space in London ,Richmond Park is largest of London’s eight Royal Parks.It is a National Nature Reserve, a Site of Special Scientific Interest and a Special Area of Conservation in south-west London. It is also where I saw first set eyes on freely roaming deer – something I shall never forget. We were dozing (again!) 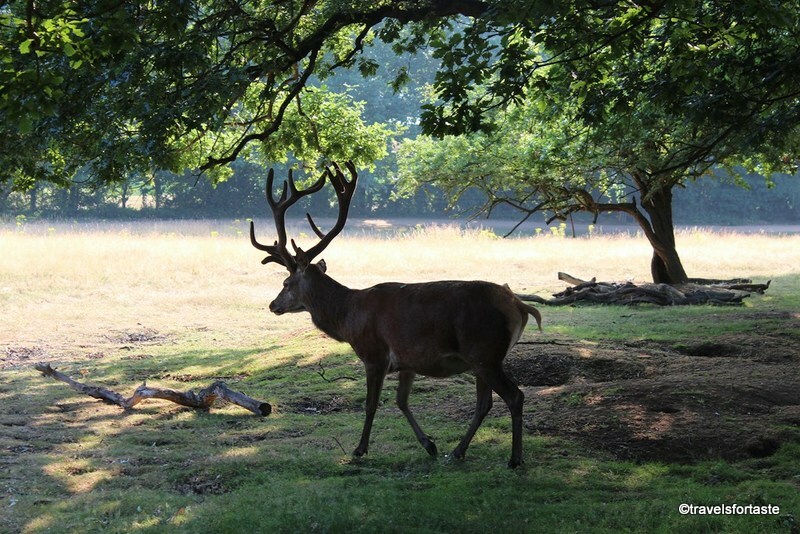 on our picnic blanket in a nice little woody nook in the park and I had dozed off over a book when hubster urgently jabbing his fingers into my rib – ouch in an attempt to draw my attention to a curious bystander – a huge Red stag! Its massive antler had us awestruck and a bit worried at once. It just gave us a stare and then settled down on a patch of grass munching on something -Phew! Wide awake now, we packed our things as quietly as possible and went for a stroll …. With over 650 red and fallow deer roaming freely one must always bear in mind that though they are immensely beautiful they are wild and we must respect their space. Thinking of a fab day out with the family under £15? 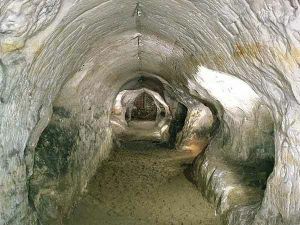 This is the place to go.Ammunition storage during WWI and air raid shelters during WWII these caves have seen it all.Local folklore has it that the barons held a secret meeting at the Barons’ cave on their way to Runnymede to sign the Magna Carta. These are actually old sand mines which include the Baron’s Cave in the Castle Grounds and the Tunnel Road caves in the Western Caverns.The castle which is now long gone is only a mound overlooking Reigate town centre and is composed of soft sandstone and has been mined over several centuries.Many excavations of the castle still remain.For as low as £ 2 per adult and £1.50 per child you can tour the caves with an experienced guide who will share details about the history of the caves. Disabled persons can be accompanied by upto 2 carers who go free of charge. 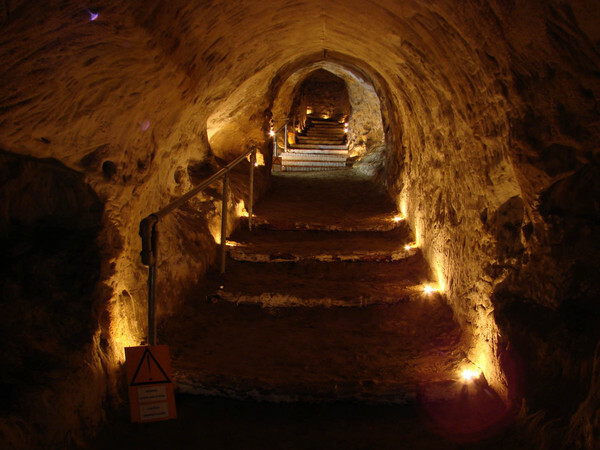 Visit the official website of the The Wealden Cave & Mine Society , a charitable organisation here.Read more on the Reigate History website here. 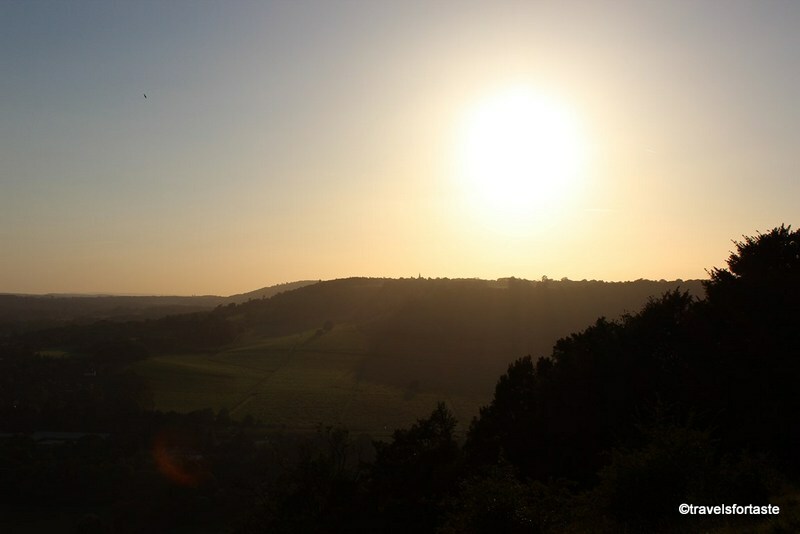 If you want a more relaxed day out why not consider a trip to Denbies Vineyard? Read my post about my day trip here.